Includes full instructions plus the fabric for the top and binding for one Fall throw quilt that finishes 51" x 71". 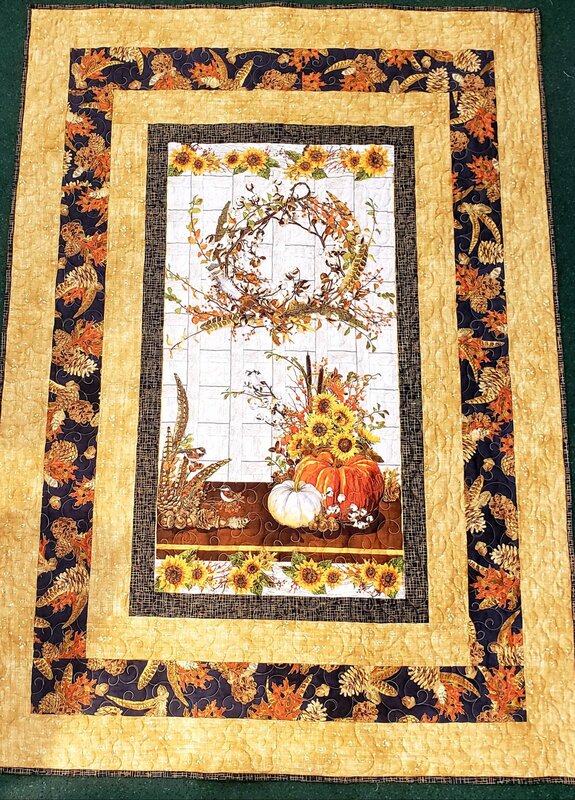 This is a stunning quilt with the beautiful metallic fabrics and really lends well to custom quilting. If edge to edge quilting is what you'd prefer, cuddle fabric would make an amazing and super soft backing. This quilt requires 3 1/3 yards of cotton backing if non-directional. Directional backing fabric requires 4 1/2 yards. Cuddle backing requires a 2 1/3 yard piece.